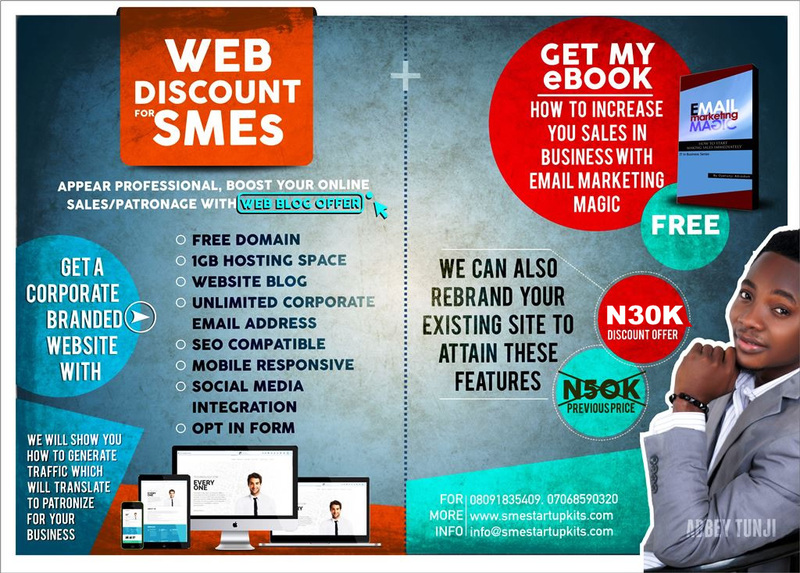 Web Promo Offer - SME Digest! There are two kinds of businesses according to Bill Gates (World Richest). The first are those Businesses that are online and the second are those that are NOT in business! Does that read any meaning to you? What Bill Gate was saying in essence was that if your Business is not Online, you are already out of Business. In this era of technology advancement, almost everything happens online ranging from sending messages, searching for a particular product or service and purchasing of products and services. The only way to benefit in this era is taking your business Online and yea, you have it here…. NB: Promo offer ends on the 25th of May.